Novarc Technologies, a Vancouver-based robotics company specializing in the design and commercialization of collaborative robots for industrial applications has entered a North American sales agreement with Abicor Binzel, the leading manufacturer of robotics welding torches and accessories for medium and high automation production to market Novarc’s breakthrough collaborative Spool Welding Robot (“SWR”) with Abicor Binzel’s welding torches and seam tracking sensors to clients in the US, Canada and Mexico. Novarc Technologies, a Vancouver-based robotics company specializing in the design and commercialization of collaborative robots for industrial applications, announced today it has entered a North American sales agreement with Abicor Binzel, the leading manufacturer of robotics welding torches and accessories for medium and high automation production. Through this sales agreement, Novarc will partner with the North American Abicor Binzel sales team to market Novarc’s breakthrough collaborative Spool Welding Robot (“SWR”) with Abicor Binzel’s welding torches and seam tracking sensors to clients in the US, Canada and Mexico. Novarc’s SWR is the world’s first welding collaborative robot - a semi-automated robotic solution designed for pipe welding, small pressure vessel manufacturing and other 1G welding applications. 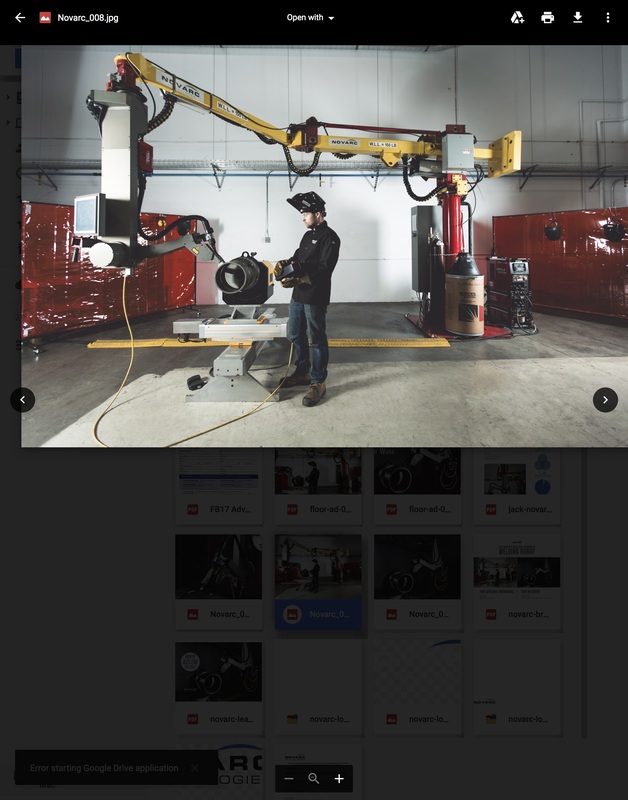 The collaborative robot utilizes a three-axis robotic arm at the end of a long reach manipulator, which increases the dexterity and flexibility of the human operator, improving productivity on the shop floor and reducing costs for the pipe shop. "We are very excited to work with the Abicor-Binzel team to better reach potential and existing clients in the North American market. Abicor-Binzel is an established brand known for bringing innovative high quality welding products to the market, and we felt they were a natural fit for our technology because of their expertise and innovation in the welding industry,” says Soroush Karimzadeh, CEO of Novarc Technologies. “The Novarc SWR pipe welding system is a perfect fit with our range of product offerings of weld torches, seam tracking sensors and associated peripherals. The complete package will allow us to better serve our customers within this market segment and falls in line with our strategy and goals to offer our customers state-of-art technology and cost saving solutions,” says John Kaylor, Abicor Binzel North American President. Novarc’s collaborative SWR is currently in operation in the US and Canada, and is expanding throughout North America and Europe. The world’s first collaborative welding robot featuring the smallest footprint in the industry will be available for demonstration at FABTECH at Booth #B25100. To book a time to have a demonstration of Novarc’s SWR, email us at demo (at) novarctech (dot) com (there are limited spots available). Novarc Technologies is a Vancouver-based robotics company specializing in the design and commercialization of collaborative robots for industrial applications. Novarc’s Spool Welding Robot (SWR) is the world's first of its kind in pipe welding application. As a proven pioneer in the field, Novarc has a dedicated team of engineers and scientists eager to solve challenging industrial automation problems that improve customers' bottom line.